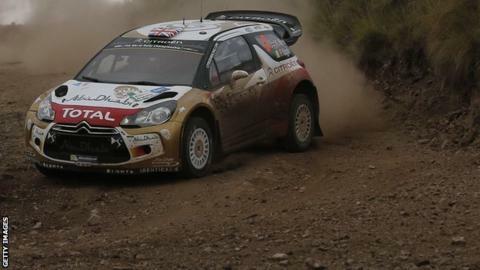 Dungannon man Kris Meeke produced a composed final day at the Rally of Argentina to remain in third place as he earned his second podium finish of this season's World Championship. The Northern Ireland driver survived a brush with a bank on the final day as he finished five minutes and 54 seconds behind winner Jari-Matti Latvala. Meeke held on to third spot despite a challenge from Andreas Mikkelsen. The Northern Irishman was 23.6 seconds ahead of the Norwegian at the finish. Lattvala was recording the Volkswagen team's record ninth victory in a row in the world championship. The Finn's team-mate and championship leader Sebastien Ogier took second, one minute and 26.9 seconds behind. For the most part, Citroen driver Meeke adopted a cautious attitude in Argentina after crashing in Portugal last month and was not outside the top five at any stage as several other drivers hit trouble. Meeke's performance in the fifth round of the series equalled his third spot in the opening event at Monte Carlo in January.